As a laboratory executive, you are in charge of ensuring your lab operations including lab staffing, testing, and reporting run smoothly and deliver the best results to your referring physicians and groups. In today’s healthcare world, the patient experience is top of mind and if one system across your lab tech stack isn’t holding up, then the entire process you have in place could fail and the patient could suffer. A LIMS (Laboratory Information Management System) is a critical component to any lab operation, regardless of your lab’s focus, whether toxicology, women’s health, pharmacogenetics, cystic fibrosis, genomics and DNA, and so on. As a lab executive, you know that a LIMS allows you to effectively manage samples and associated data to improve lab efficiency, and by using a LIMS, your lab can automate workflows, integrate instruments, and manage samples and associated information – all important aspects of a laboratory’s continued success. Your lab already specializes in a certain kind of testing, whether it be molecular testing, Pgx, toxicology, or another variety of testing. But what if you decide to add further testing capabilities in the future? 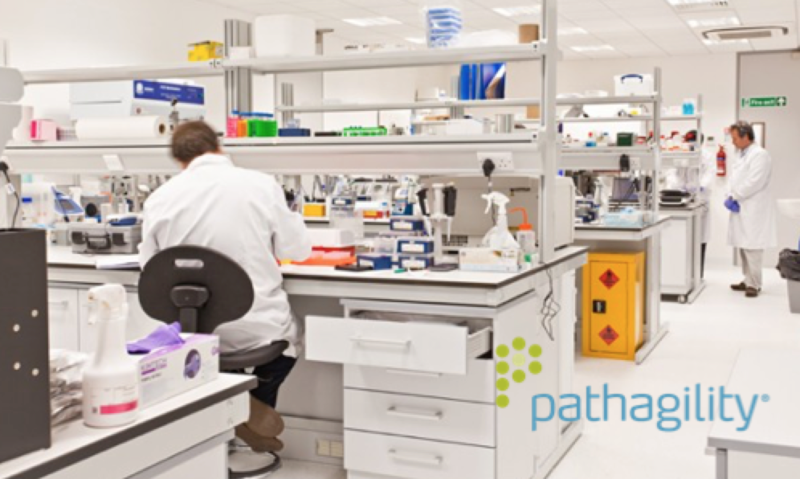 With Pathagility, you can add an unlimited amount of new tests to the LIMS platform and what’s better, the new case types are modular and are built with the same processes and workflows your lab already uses. With the rapid advancement of science, your lab needs the ability to stay ahead of the competition and add new tests – maybe even tests that are proprietary and have never been done before. With Pathagility, that’s no problem. We use a collaborative process to work with our clients to build brand new case types and implement them seamlessly into the current processes so nothing is interrupted. 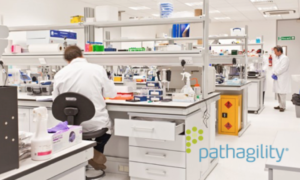 Put another way, migration can be done in a way and in a timeframe that is not disruptive to the lab’s business, which is possible because of Pathagility’s flexibility. Labs are not forced into an all or nothing decision and migration strategy. When evaluating a new LIMS partner, ensure that you are able to expand your testing capabilities so that a software doesn’t hold your lab back. Once your lab runs a test, you need a detailed report back. With Pathagility’s built in portal, you can log in and retrieve the reports yourself in just a few easy steps. But in addition, we leave it up to you as to how you’d like to receive the reports, whether via fax, HL7 distribution, or an email with a link to download the report securely. Or, you can install and receive reports automatically as they’re going through your system – and allow your own clients to do the same. In addition, everything is logged in the system so you know that your reports have been properly sent, received, and recorded, which gives you peace of mind. And what happens if you want to change your preferences? No problem. All rules and distribution channels are completely dynamic and can be turned off or on at the flip of a switch. Reporting is a critical factor for labs, so it’s important to thoroughly examine how a new LIMS could accomplish efficient and thorough reporting that meets the needs of every referring physician or group. As your business grows, you’ll find you have more IT needs and have multiple systems – sometimes performing multiple tasks simultaneously. Your reporting solution should be a facilitator of data movement, not a hinderance. Your reporting solution should not silo off important data from other systems that run important factors across the lab (e.g business critical systems that you may already have in place or could adopt in the future). It’s important that your solution has a full API (application program interface) that can be extended around both existing and new offerings. Pathagility’s robust API allows you to integrate any system across your lab, transforming your LIMS and reporting solution into your lab’s nucleus. Critical lab systems need to be able to access and retrieve the important data (i.e. finished clinician reports, case data, demographic data, business data, user data, etc) they need in order to get the job done. Does the new LIMS you are evaluating allow for this? Pathagility’s LIMS platform allows you to carry your branding throughout all reporting by allowing you to customize the entire look and feel. For example, if you’re a PGx lab, choose your logo and colors, but also determine details such as vertical or horizontal layout, boxes or call-outs, areas for specific stats, and even cross-reference medications from your lab tests. To put it simply, whatever a graphic designer can come up with, we can replicate it in our Pathagility reports. Be sure to evaluate whether the LIMS you’re considering will let you reflect your brand’s true colors throughout the platform and reports.